Studies from allied professions suggest that intentional nondisclosure in clinical supervision is common; however, the types of intentional nondisclosure and reasons for nondisclosure have yet to be examined in an adequate sample of counselors-in-training (CITs). The current study examined intentional nondisclosure by CITs during their onsite supervision experience. We utilized content analysis to examine examples of intentional nondisclosure. Sixty-six participants provided examples of intentionally withholding information from their supervisors they perceived as significant. The most common types of information withheld were negative reactions to supervisors, general client observations, and clinical mistakes. The most common reasons cited were impression management, perceived unimportance, negative feelings, and supervisor incompetence. We offer implications for both supervisees and supervisors on how they might mitigate intentional nondisclosure; for example, we present strategies to address ineffective or harmful supervision, discuss techniques to openly address intentional nondisclosure, and explore ways to integrate training on best practices in clinical supervision. Streamlined supervision frameworks are needed to enhance and progress the practice and training of supervisors. This author proposes the SuperSkills Model (SSM), grounded in the practice of microskills and supervision common factors, with a focus on the development and foundational learning of supervisors-in-training. The SSM worksheet prompts for competency-based supervisory behaviors from pre-session to post-session, highlighting a culturally aware supervisory relationship; goals and tasks; and feedback and reflection. The versatility of the SSM allows for utility in various settings, accommodates supervisor developmental level, and may be used to evaluate supervisor-in-training development. Numerous models of clinical supervision have been developed; however, there is little empirical support indicating that any one model is superior. Therefore, common factors approaches to supervision integrate essential components that are shared among counseling and supervision models. The purpose of this paper is to present an innovative model of clinical supervision, the Common Factors Discrimination Model (CFDM), which integrates the common factors of counseling and supervision approaches with the specific factors of Bernard’s discrimination model for a structured approach to common factors supervision. Strategies and recommendations for implementing the CFDM in clinical supervision are discussed. Wellness is an integral component of the counseling profession and is included in ethical codes, suggestions for practice and codes of conduct throughout the helping professions. Limited researchers have examined wellness in counseling supervision and, more specifically, clinical mental health supervisors’ experiences with their supervisees’ levels of wellness. Therefore, the purpose of this phenomenological qualitative research was to investigate experienced clinical supervisors’ (N = 6) perceptions of their supervisees’ wellness. Five emergent themes from the data included: (a) intentionality, (b) self-care, (c) humanness, (d) support, and (e) wellness identity. As counselors are at risk of burnout and unwellness because of the nature of their job (e.g., frequent encounters with difficult and challenging client life occurrences), research and education about wellness practices in the supervisory population are warranted. 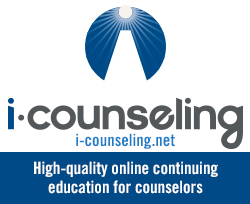 Counselor education departments have a unique opportunity to implement feedback informed treatment (FIT) systems that serve as continual assessment procedures by informing counselors, clients, supervisors and educators about client functioning and progress toward goals. These systems hold potential benefits within counselor training such as a positive impact on supervision, student development and student learning outcome evaluation. This article contains an overview of what a FIT system is, reviews of the psychometric properties and steps for administering and scoring three main FIT systems, and a synopsis of the potential benefits and utility of FIT systems within counselor education. Implications for counselor education are discussed. Supervision is an integral component of counselor development with the objective of ensuring safe and effective counseling for clients. Wellness also is an important element of counseling and often labeled as the cornerstone of the counseling profession. Literature on supervision contains few models that have a wellness focus or component; however, wellness is fundamental to counseling and the training of counselors, and is primary in developmental, strengths-based counseling. The purpose of this article is to introduce an integrative wellness model for counseling supervision that incorporates existing models of supervision, matching the developmental needs of counselors-in-training and theoretical tenets of wellness. Recent research has focused on the discrepancy between school counselors’ preferred roles and their actual functions. Reasons for this discrepancy range from administrators’ misperceptions of the role of the school counselor to the slow adoption of comprehensive school counseling approaches such as the American School Counselor Association’s National Model. 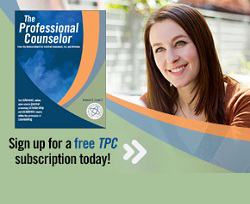 A look at counseling history reveals that competing professional identity models within the profession have inhibited the standardization of school counseling practice and supervision. 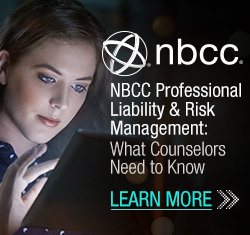 School counselors are counseling professionals working within an educational setting, and therefore they receive messages about their role as both counselor and educator. The present article includes a discussion of the consequences of these competing and often conflicting messages, as well as a description of three strategies to combat the role stress associated with this ongoing debate. Counselor education doctoral students are influenced by many factors as they train to become supervisors. One of these factors, self-efficacy beliefs, plays an important role in supervisor development. In this phenomenological, qualitative research, 16 counselor education doctoral students participated in focus groups and discussed their experiences and perceptions of self-efficacy as supervisors. Data analyses revealed four themes associated with self-efficacy beliefs: ambivalence in the middle tier of supervision, influential people, receiving performance feedback, and conducting evaluations. Recommendations for counselor education and supervision, as well as future research, are provided.